The Erie County Public Library has a dedicated collection of materials that can assist you in your search for ancestors that lived in the Erie / NW Pennsylvania area. The Heritage Room is located on the second floor of the Blasco Library. Please note: materials in this room must be kept at a constant temperature of 70 degrees. Please dress accordingly; a sweater or light jacket will help. ECPL subscribes to Ancestry.com and American Ancestors, for in-library use on the Heritage Room public computers. Library staff also maintains links to a number of useful Internet sites with genealogical information. The Library also provides in-library and remote access to the Library editions of HeritageQuest and Fold3. A list of resources can be accessed by visiting the Biography & Genealogy section in the eLibrary. 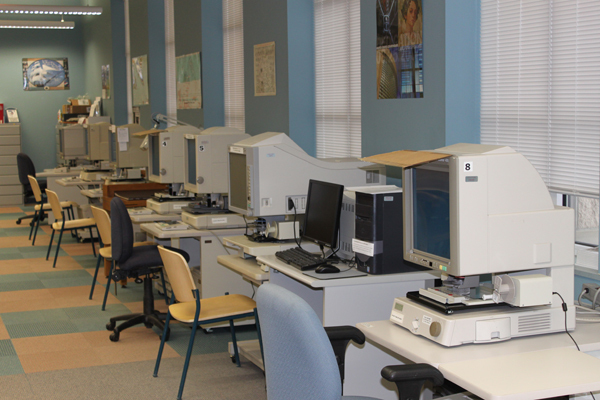 The Blasco Library Heritage Room microfilm collection contains the Erie newspapers beginning in 1820, Erie County censuses from 1800 to 1930, and selected censuses for other Pennsylvania counties and nearby states, 10 microfilm reader/printers are available for use on-site. 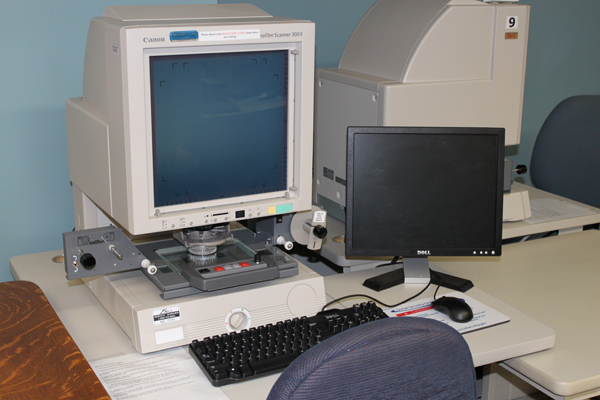 Use of the microfilm machines is on a first come first serve basis. Photocopies can be made for 10 cents per page. If you have an Erie County Public Library card, you can request books, microfilms and photocopies through the Library’s Interlibrary Loan program. You may also request books and photocopies through the Interlibrary Loan Department. Availability of these materials may be restricted by the owning libraries. As a service to patrons doing genealogical research, the ECPL has compiled and maintains a paper and an online obituary index for Erie County, Pennsylvania, from 1822 to present. The Information Services staff can fulfill record requests for obituaries by mail or email. Please visit our Obituary Search Request Page to search the index or place an order for an obituary. Fees apply.